Facebook now supports the viewing of 360-degree videos and photos. You can take pictures through your iPhone�s native camera, upload the 360-degree photos to Facebook, and let your friends see your photos in a panoramic view. Facebook has today announced support for 360-degree photos, enhancing the existing photo-sharing abilities that were first added to the platform over ten years ago. Facebook also allows its users to use 360 photos as a cover image and it is the first time that Facebook has added a new option for the cover images. So, you can use 360 photos as your profile�s cover image to make your account look more immersive and engaging. Sharing Your Video. Sharing a video isn�t quite as simple as sharing an image, but it�s still not complicated. You won�t be given a 360-degree preview of the video like you do with the image, as Facebook will need to go about stitching the images and frames together. 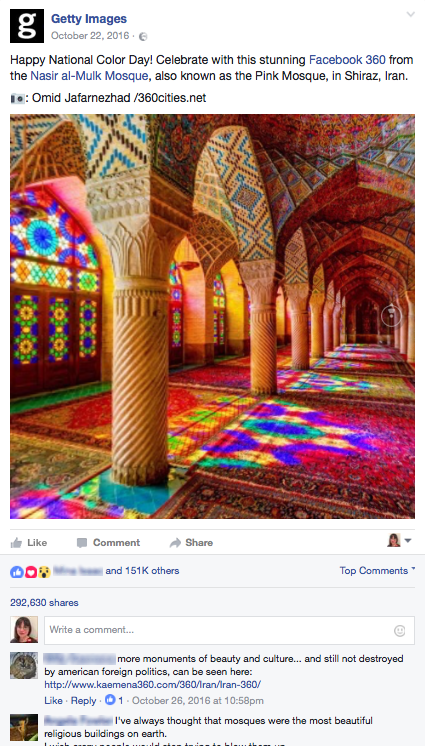 Facebook 360 degree has become popular than anyone expected. Few days ago, we are able to see people creating memes using 360 degree photo. Thinking of a meme with a 360 degree photo is yet another creative thinking that netizans posses. 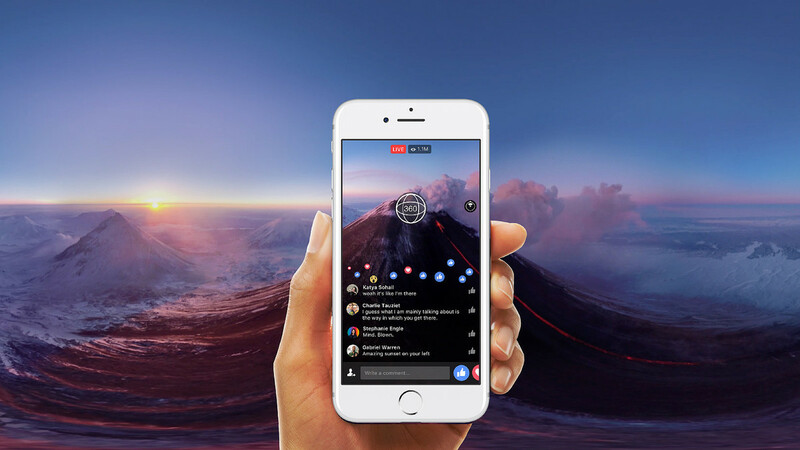 It doesn't have all of the polish of Facebook's implementation of 360� video technology, but it's highly available, highly reliable, and, for most users, intuitive to use. And if you're shooting with a Ricoh Theta S , it's among the best options for sharing your 360� videos with others.